Two weeks ago Mazda released a rather tempting looking render of a new concept it plans to debut at the Tokyo Auto Show later this year. 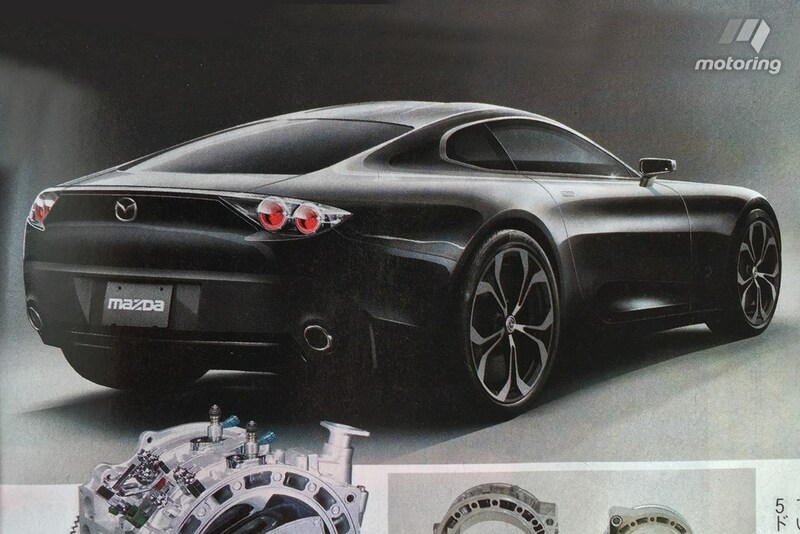 A lot of speculation has been circling around this the concept, to the sound of ‘hardtop Mx5’ and ‘RX-9’. The MX-5 Theory got quickly pushed aside, and the thoughts of the next generation Rotary have been ruffled! 2017 sees the 50th anniversary of Rotary, marking the year the very first Rotary Engine was produced and used in a production vehicle, The Cosmo! Since then, and more recently, the RX-7 and Rx-8 have been the sports cars enthusiast choice vehicles for various reasons. The Rx-8 renowned for the 4-door pillar-less design, super mental 9000rpm rev range and super amounts of power, but also its inevitability of using a far amount of fuel in the process! The Rx-7 impressed all with its timeless looks, 50-50 weight distribution and of course the very complex, advanced capabilities of the twin turbo rotary engine. Boasting two sequential turbos to boost power in different rev ranges to eliminate turbo-lag and effectively give more torque! A choice car with all the Drifters out there! So 2017 marking the anniversary of such a great engineering accomplishment, would make a fitting debut for a new revamped Hybrid turbo Rotary engine? When asked about the concept debut in recent press a source close to the car maker steered us towards this theory… “Look to the Cosmo Sport.” Also known as the 110s, will be sat right beside the unnamed concept at the Tokyo auto show! The question is, why would the Cosmo be at the show? Unless of course, the Re-birth of the Rotary is to be unvieled!! Below image : A Rendered Design of the unnamed(likely to be RX-9) concept.